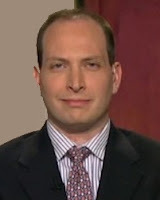 Phil Kerpen, Contributing Author: With the increasingly likelihood that Obama’s health care law will be struck down in court or repealed next Congress, the administration has been working hard to cement another dubious legacy: the destruction of the coal industry. Obama’s war on coal is stirring a lot of anger in parts of the country like West Virginia, Pennsylvania, and Ohio that have long relied on coal as an engine of prosperity. But little of that anger has been directed at the biggest funder of the War on Coal: the natural gas industry, which stands to reap big rewards from the destruction of coal-fired power plants — given the regulatory barriers to nuclear power and the lack of any other real, commercially viable alternatives. The cost, according to EPA’s own low-ball estimate, is $10 billion per year. A more realistic analysis from National Economic Research Associates found compliance costs of $21 billion per year, with 183,000 lost jobs per year. It’s all pain and no gain; except for the natural gas industry, which stands to reap enormous rewards from the forced conversion of coal-fired power plants to natural gas. That’s probably why between 2007 and 2010, Chesapeake CEO Aubrey McClendon donated more than $25 million to the Sierra Club for its “Beyond Coal” campaign, which included the lawsuit resulting in the UMACT rule. The rule supposedly applies only to new plants and plants undergoing major modification, but the latter means that it operates as a one-two punch with UMACT to destroy coal-fired electricity: UMACT requires major modifications to control mercury emissions, which triggers carbon dioxide regulations, which forces fuel-switching to natural gas. The costs of mass forced-retirement of coal plants would run into the hundreds of billions of dollars — and electricity rates would “necessarily skyrocket,” as Obama promised on the campaign trail four years ago. The manipulative campaign shows a red baby carriage, in front of a coal plant with a coughing sound and a heartfelt plea for Congress “not to water down the Clean Air Act,” which is a deceptive way of telling Congress to just look the other way and let the natural gas industry, the green groups, and the EPA destroy coal — without any authorization from the people’s elected representatives in Congress. The Senate will soon have an opportunity to stop Obama’s War on Coal when it votes on Senator Jim Inhofe’s (R-OK) S.J. Res. 37, which would overturn the UMACT rule. If our elected officials are interested in doing their job, they will vote yes on the Inhofe Resolution and reject anti-coal cronyism that will cost the American people dearly. Phil Kerpen is the president of American Commitment where he first shared this article; a columnist on Fox News Opinion, and the author of Democracy Denied: How Obama is Bypassing Congress to Radically Transform America – and How to Stop Him. He is a contributing author for the ARRA News Service. Tags: Phil Kerpen, Barack Obama, natural gas,Gas-Powered War on Coal, war on coal, Utility Maximum Achievable Control Technology, UMACT, West Virginia, Pennsylvania, Ohio To share or post to your site, click on "Post Link". Please mention / link to the ARRA News Service. Thanks! This is the first time I've been to your website. Thank you for explaining more details. Being read by someone in Austria is indeed surprising. I usually remove link which are ads to businesses but this time left it since the business is in Williamstown North VIC 3016 just outside of Melbourne.